Featured by Jeanneau at the 2008 Paris Boat Show, this boat has been constantly upgraded and maintained by her current owners. They purchased her to cruise the Grenadines and joined the ARC. Since then they have built up a successful Caribbean-based owner-operated luxury crewed charter business aboard. She has the owners layout with master suite forward and 2 guest suites aft. The care with which she has been equipped and maintained in terms of domestic, mechanical, electrical and sailing equipment was apparent as soon as I stepped on board. She has been MCA Cat 2 coded since 2013 and all maintenance records are on board and available for viewing. The charter business may be available to purchase under a separate arrangement. Dinghy and outboard also may be available to purchase under a separate arrangement. 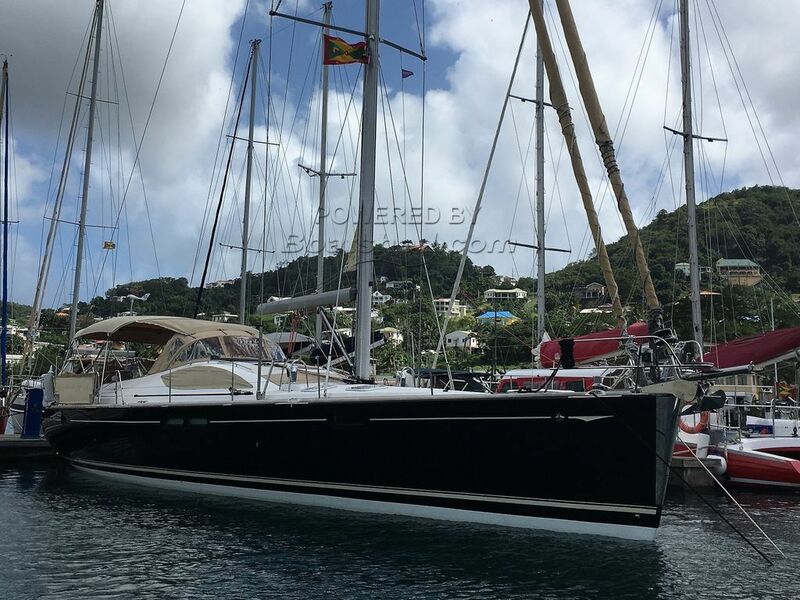 This Jeanneau Sun Odyssey 54 DS has been personally photographed and viewed by Anita Sutton of Boatshed Grenada. Click here for contact details.